Since April, there has been this narrative that the Redskins can’t improve on their 8-7-1 record because of their strength of schedule. Through four weeks, the schedule doesn’t look as tough as it once did. This is usually the case thanks to the unpredictable nature of the NFL. Based on the results we have through four weeks, I’m inclined to believe that the Redskins have made it through the toughest portion of their schedule. The Oakland Raiders, Philadelphia Eagles and Kansas City Chiefs are all conference championship contenders, in my opinion. Not to mention the 3-1 LA Rams, who could be playoff contenders in their own right. Best team I've seen so far in the NFC East is the Washington Redskins. Had the game won tonight at Arrowhead. When you take a quick look, outside of the Eagles and Broncos, the Redskins have a bunch of league average (or worse) football teams ahead of them. There isn’t one game on the schedule that isn’t winnable and I would expect Vegas to favor the Redskins in the remainder of their home games. The Redskins will get to face one of the worst teams in the entire NFL after a much needed week off. Although they could still be without a few key players on defense due to injury, I would expect this Kirk Cousins led offense to steamroll a putrid San Francisco 49ers secondary. I think that Cousins is starting to show some serious life and this offense will start coming into form after the bye week. The Eagles are a dangerous football team, thanks to their dominant front seven but they have a couple of defensive backs who can be exploited by the quick passing attack. This will be a tough environment to play in but I think the Redskins win this football game ending this series in an even one-one split. I wouldn’t be surprised to see this game get flexed into a Sunday Night primetime contest. This midseason game could hold serious playoff implications and this rivalry has been one of the most watched football games in previous years, including last year on Thanksgiving. I think the Redskins matchup well against the Cowboys because they finally have a couple of run stuffing plugs in that defensive front. Not to mention, the Cowboys overachieved last season and they lost two key veterans on their offensive line and in their secondary. At this point, the Redskins would be traveling all the way across the country after two emotional victories and three wins straight. The defense has struggled with mobile quarterbacks and Russell Wilson makes his money by playing off schedule. I will chalk this up as a major letdown spot and the Redskins will be excited to get back to the east coast. NOTE: The Seahawks have given up 5.12 yards per carry, something that was unexpected through four weeks. Who will be the starting quarterback for the Minnesota Vikings? Will Sam Bradford be healthy? Will Teddy Bridgewater make a return? It doesn’t really matter to me. The offensive DVOA ranking is inflated, thanks to a flawless week one performance from Sam Bradford. Now their star rookie running back, Dalvin Cook, is out for the rest of the season with an ACL tear. Although they have a solid defense, this offense is on the decline and I’m not sure they would be able to outscore a Redskins offense at FedEx Field. Coming into week four, the Saints had the second worst DVOA ranked defense in the entire NFL. Despite the week four shutout of the Miami Dolphins, the Saints are still ranked in the bottom 12 in defensive DVOA. If the Saints want to shoot it out, by all means let’s do it. Scoring points inside the dome, against this defense, should be a nonissue for our Redskins offense. This Giants team has some talent on their roster but they lack leadership from the top down. I would expect this team to improve over the course of the season but it wouldn’t surprise me to see Ben McAdoo get sniped and the Giants picking in the top five in the 2018 NFL draft. You can’t rely on us sweeping the Cowboys. Dallas isn’t an easy place to play especially since they can run the football and control the clock. I would expect the Redskins to split with Dallas, just like I would expect them to do any other season. This team has a solid cornerback and one of the best pass rushing duos in the entire NFL team. Like the Giants, this team is much better than their record would indicate. However, they have zero fans and no home field advantage. The StubHub Center will be filled (relatively) with 70% Redskins fans and it will feel just like a home game in Landover, Maryland. NOTE: Despite ranking in the middle of the pack in defensive DVOA, the Chargers are allowing 5.3 yards per carry, the 3rd most in the entire NFL. The Cardinals have one of the worst offensive lines in the NFL and Carson Palmer moves around like his feet are stuck in cement. Without David Johnson, the Redskins would just have to focus on blanketing Larry Fitzgerald. This is the type of team that the Redskins defense matches up well against. Their quarterback can’t move and they don’t have a running back or tight end to exploit our defense over the middle. Von Miller is matchup proof and they have three defensive backs that can completely wipe your wide receivers off the map. In order to beat the Broncos, you better run the football but they’ve been stuffing that too. Although winnable, I hate this matchup on paper. Going into week 17, I have the Redskins at a record of 10-5. At 10-5, they would most likely be battling for an NFC East title and they’d have some sort of playoff seeding implication on the line. It would be a full go for all the starters and with a bad Giants team on the fringe of firing their second year head coach, I expect a clean sweep of the Giants in 2017. 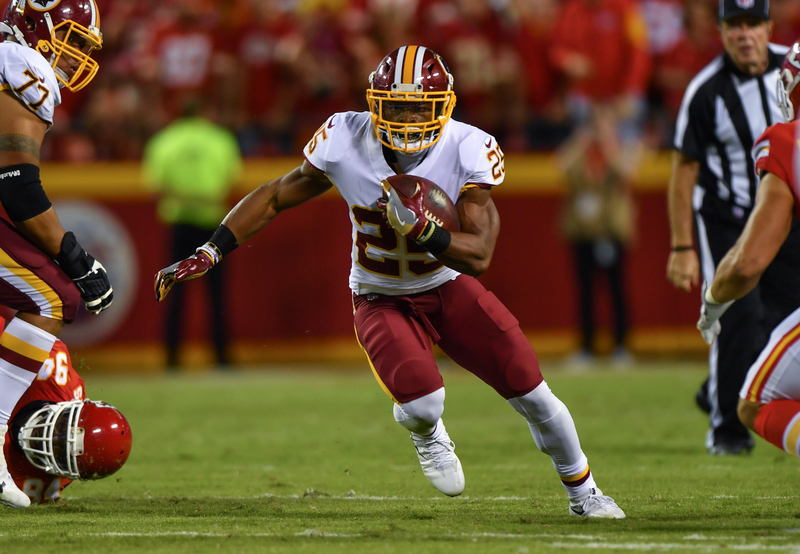 Previous Post Week 5 Fantasy Football Start, Sit, Sleepers: Should You Bench Cam Even After a Breakout Week? 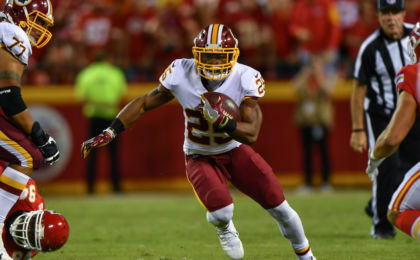 Fantasy Football News: Derrius Guice a Lock to Start?